Braintree announces new service that makes it easier for merchants to sign up for the platform. MasterCard launches MasterPass in Czech Republic. CAN Capital to offer loans via Yodlee’s Small Business solution. PayPal’s Venmo to power payments for web and mobile chat app, Dasher. Wall Street Sector Selector highlights Financial Guard and lists Betterment, FutureAdvisor, Jemstep, Nutmeg, SigFig, and Wealthfront in a column on using roboadvisors with retirement accounts. SumUp partners with BitPay to integrate bitcoin into its mPOS solution. Fiserv and DBS win Asian Banker Technology Implementation award. Expensify enables in-app report comments to make annotations directly on expense reports. Merchants using WordPress now have access to two new payment gateways: Dwolla and PayPal Express Checkout. Bank Innovation takes a look at how “Pay with Venmo” will impact mobile e-commerce. The votes are in. The judges have decided. 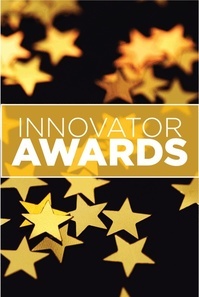 And 11 Finovate alums have earned awards at the 2014 PYMNTS.com Innovation Project, including three gold medals. The Innovation Project is “powered by PYMNTS.com,” a joint venture between BusinessWire and Market Platform Dynamics. The event is in its second year, and was again held at Harvard University in Cambridge, Massachusetts. A total of 49 awards were presented. Gold, silver, and bronze in fifteen categories, plus singular Catalyst, Women Driving Innovation in Payments, Lifetime Achievement, and Best in Show awards. Also announced were three inductees to the Payments Hall of Fame. See how the rest of the Finovate family fared below. Solution leverages mobile device camera to enable check deposit, account opening, and bill pay.